If defense wins championships, the Nashville Predators should win its first Stanley Cup in franchise history this year. Entering the 2015-16 season, Nashville has the best defense corps in the league, headlined by Shea Weber, Roman Josi and Seth Jones with Pekka Rinne minding the net behind them. If that was not enough, general manager David Poile added an additional piece this offseason to set the Predators’ defense over-the-top. Grizzled veteran Barret Jackman was signed to an affordable two-year, $4 million contract. As opposed to the forwards on the Predators’ roster, there is little dispute about who will make the team and what the pairings will be on the back end. Josi and Weber is the best defense pairing in the league. They compliment each other extremely well, and for what one lacks, the other makes up for. Weber, the Preds’ captain, is a dominant force on both sides of the puck. Weber is best known around the league for scoring goals with his blistering 108.5 mph slap shot, but defensively is where Weber makes his largest impact. Weber’s 6-foot-4, 233-pound frame makes it easy for him to outmatch an opponent physically. His 166 hits was a team-best and placed in the top-25 among all defensemen. It is shocking Weber has yet to win a Norris Trophy. The only downside to Weber is he does not move the puck well, but he does not have to when playing alongside Josi, an excellent puck-mover and a pure playmaker. His 55 points last season ranked fifth among all NHL defensemen in scoring, and his 27 points (8 g, 19 a) after the All-Star break placed second. 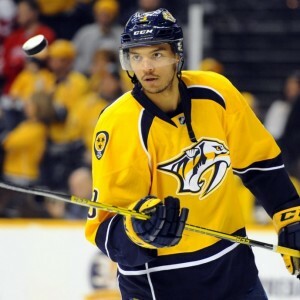 Josi is not known for being physical like Weber, but he is not afraid to put his body in front of shots. He ranked second in the league in blocked shots (209) last season. Adding Jackman to the defense is going to pay big dividends for the Predators. With 803 career NHL games under his belt, Jackman can help guide Jones in his development. Jones had a career year in his second season in the league, registering 27 points (8 g, 19 a) in 82 games, and he should improve in 2015-16 while playing with Jackman. Similarly to Josi and Weber, Jackman and Jones compliment each other’s games. Jones can safely jump into the play on a rush knowing Jackman will be back to defend. The ideal third pairing for any team is to have a duo of two-way defensemen, and Nashville has that. 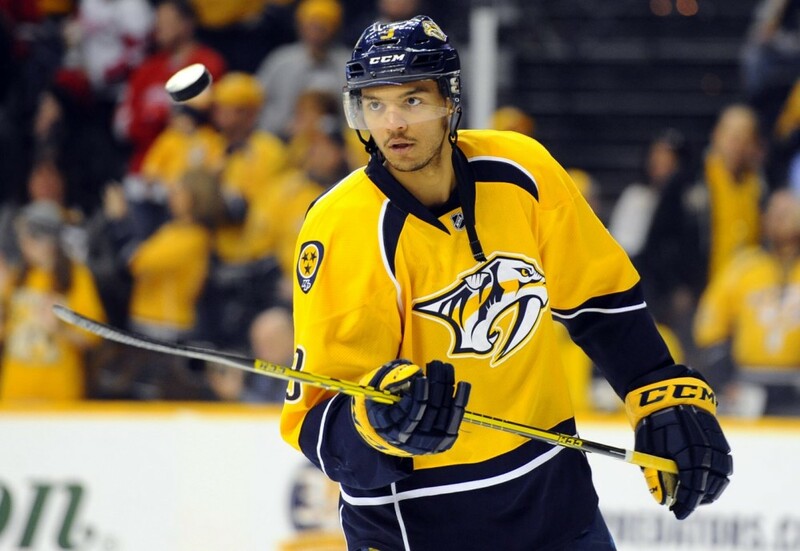 Ekholm and Ellis showed a lot of promise last season and are sure to be even better this year. Ekholm, 25, had 18 points (7 g, 11 a), 57 hits and 102 blocked shots in 80 games, in addition to leading the team and ranking tied-for-fifth among the entire league in shot attempts (282). Meanwhile, Ellis, 24, set a career high in goals (9) and blocked 74 shots in 58 games. Victor Bartley will round out the roster as an extra. Bartley, 27, is a great option as a team’s seventh defender. In 37 games last season, he recorded an impressive 77 hits and 53 blocked shots.